The 4 Tier is the little brother of the 5 Tier but still packs an impressive punch! With its strong and sturdy large base and a well designed low centre of gravity, it can be used on grass, even if the ground is slightly uneven. Your feline friend will be safe and secure at all times! It can also be placed within your home, in a cat enclosure or on your fancy patio..
Due to its generous platform sizes, the 4 Tier has proved to be popular with our customers. 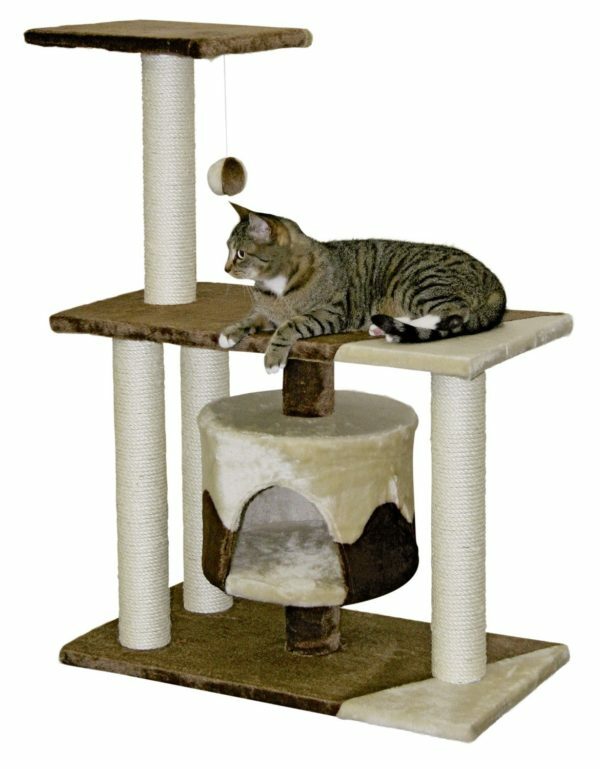 Your feline friend will simply love jumping and climbing between the four platforms which are available to them to explore! If they get a little bit tired which will be expected, then they can curl up and have a cosy catnap within the den on the base-level. The 4 Tier has been made from strong materials which will be able to handle all of the elements that the British weather can throw at it and will stand the test of time for many years to come. The four tier is delivered fully built. Just unpack and its ready for your cats to play on.